Endoscope sterilisation. 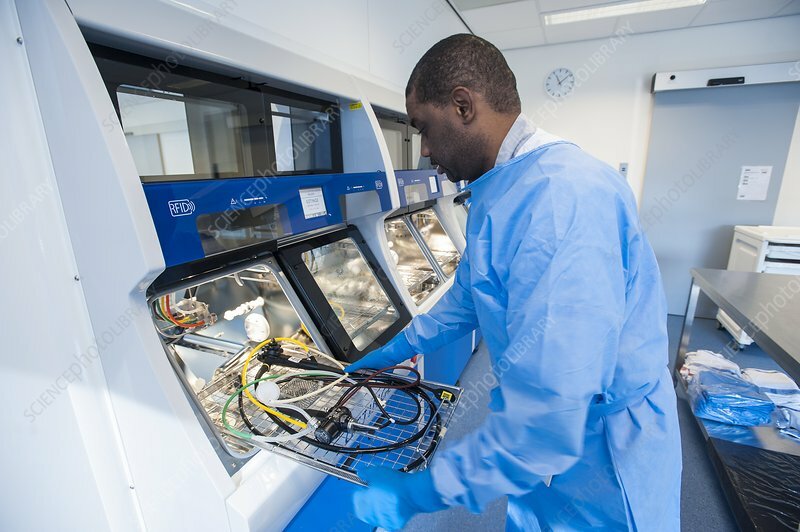 Technician preparing and loading an endoscope into a sterilisation machine in the sterilisation department of a hospital. Used scopes are cleaned and sterilised after each use. Photographed in the Netherlands.